Nokia has announced the Steel HR will ship in early December, months after it launched a non-heart rate version of the hybrid smartwatch. 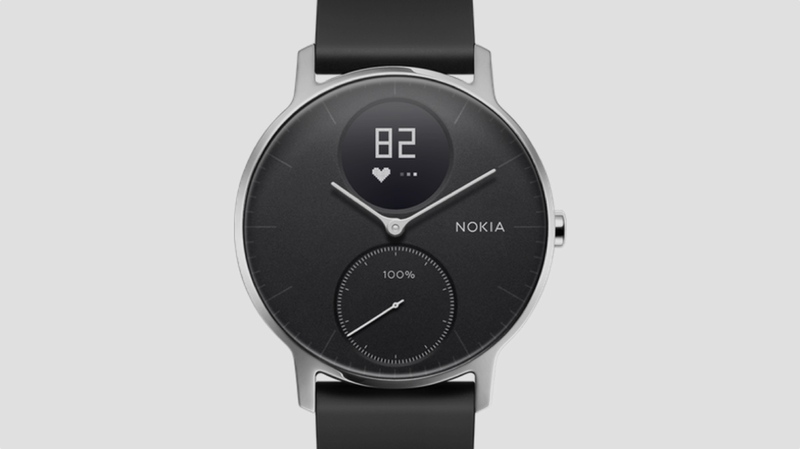 The Finnish company, which finalised its takeover of Withings back in June, initially held back from relaunching its entire line, first releasing the Nokia Go and Steel alongside the Nokia BPM+ and Nokia Body+ connected devices. Now the Steel HR is set to be up for grabs, too. Similar to the string of devices Nokia has relaunched under its own banner, the Steel HR won't undergo too many dramatic changes upon its second coming. It'll be available in 36mm and 40mm case sizes still, and the same simple form factor will appear with the Nokia sticker under the face. However, there are a couple of notable software changes to highlight, as well. Nokia indicates that an improved heart rate algorithm will provide more accurate tracking, while a design change that replaces the face with sapphire glass now guarantees waterproofing up to 50m. This move essentially completes Nokia's quest to re-release the successful Withings line, but it also signals the opportunity to make even more changes to its Health Mate app. Not only is there now more of a focus on health and wellness as opposed to just fitness and straight-up tracking, there's now integration with MyFitnessPal to improve food tracking, too. The Steel HR is available to pre-order from the Nokia site now in either black or white variations. It's priced at £169.95, so it's still a bargain of a hybrid watch if you decide to pick one up.